Battle Of The Volga Alive In Russian Memory Nowhere is the Volga River more hallowed than in the city named after it: Volgograd, better known as Stalingrad, site of one of World War II's most important, and bloodiest, battles. Today, Volgograd residents are still adjusting to the post-Soviet changes that have altered Russia. 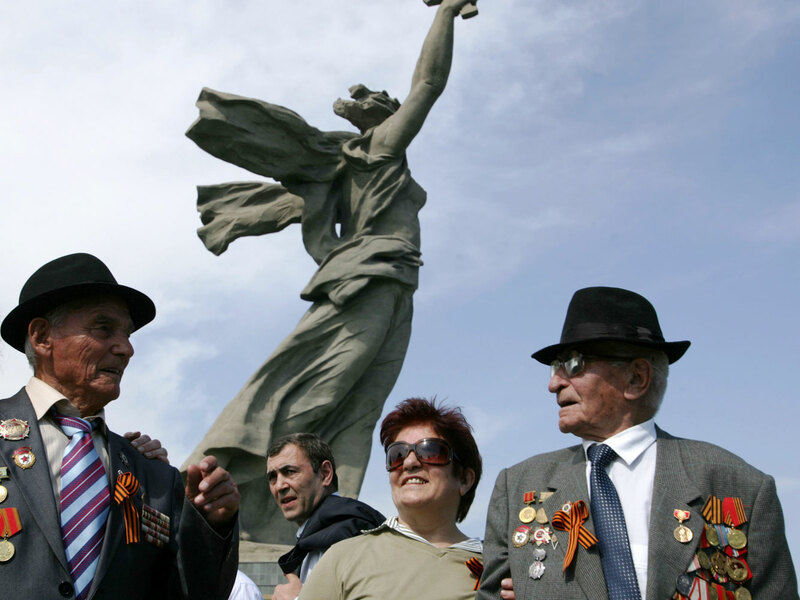 Russian veterans of World War II attend a Victory Day event in Volgograd, formerly Stalingrad, May 8, 2010. 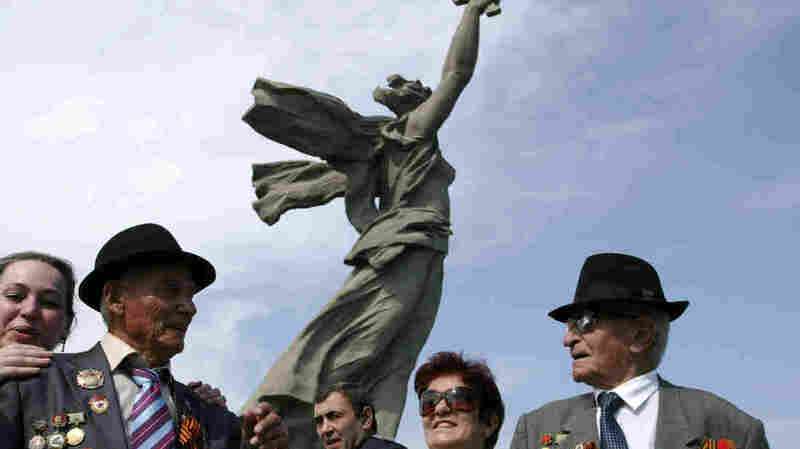 The site of one of the bloodiest and most important battles of World War II, Volgograd and its residents are struggling to find their way in post-Soviet Russia. Nowhere is the Volga River more hallowed than in the city named after it: Volgograd, better known to history as Stalingrad. During World War II, perhaps the bloodiest battle in history took place there. A total of 2 million people were lost on both sides in the fighting from the summer of 1942 to February 1943. Hitler's army, fighting to reach the Volga and seize the country's energy resources to the south in the oil-rich Caucasus, was met by the tenacious Soviet Red Army and a city that would not yield. 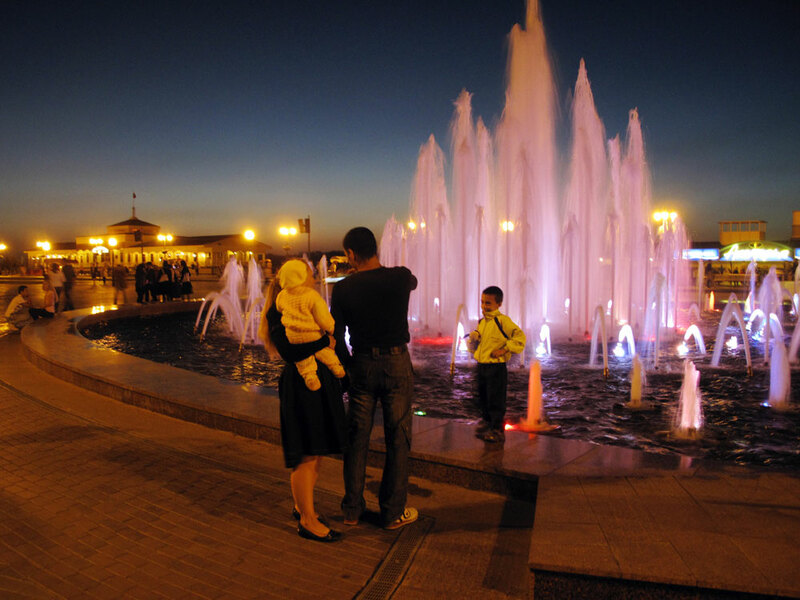 The promenade along the Volga River is a popular destination for visitors and locals in Volgograd. The city was named Stalingrad in 1925 in honor of the Soviet leader. The name was changed back in 1961, as part of a program of to expunge the cult of personality and brutal policies of Stalin from the Soviet system. Many believe the defeat of the German army in Stalingrad changed the course of the war in Europe. It was a Soviet victory, but all these years later, the battle of Stalingrad remains an enduring symbol of what Russians can do against all odds. Nearly 70 years ago, the city's residents endured the onslaught of the Nazis. Today, people in Volgograd are still adjusting to the post-Soviet changes that have altered so much of Russia. Cruise ships heading down the Volga navigate a huge bend in the river as the approach Volgograd, and a giant statue, "The Motherland Calls," come into view. Passengers grow silent as they stare at the massive figure, 17 stories high, of the Motherland looming over them. As if to defy all who might attack this country, her hand wields a huge sword. Some Russian passengers quietly wipe away tears. Decades have passed since the war and this city has long since risen from the ashes. Its center is monumental, full of postwar, neo-classical facades so beloved by Soviet leader Joseph Stalin. Poorly constructed apartments from the 1960s and '70s fan out for miles along the river bank. The promenade sparkles with expensive new shops, cafes and restaurants. But it's the vast memorial site on the hard-fought high ground that still dominates and haunts. Once it celebrated a Soviet victory. Now, after the collapse of the Soviet Union in 1991, it belongs to Russia alone. In September, the Russian government suggested schoolchildren celebrate Russian victories, key among them, this battle for the Volga. "The feeling of patriotism remains because the city suffered so much," says tour guide Nina Salnikova. "We can't forget what happened. This is a hero city where every piece of land is soaked in blood." 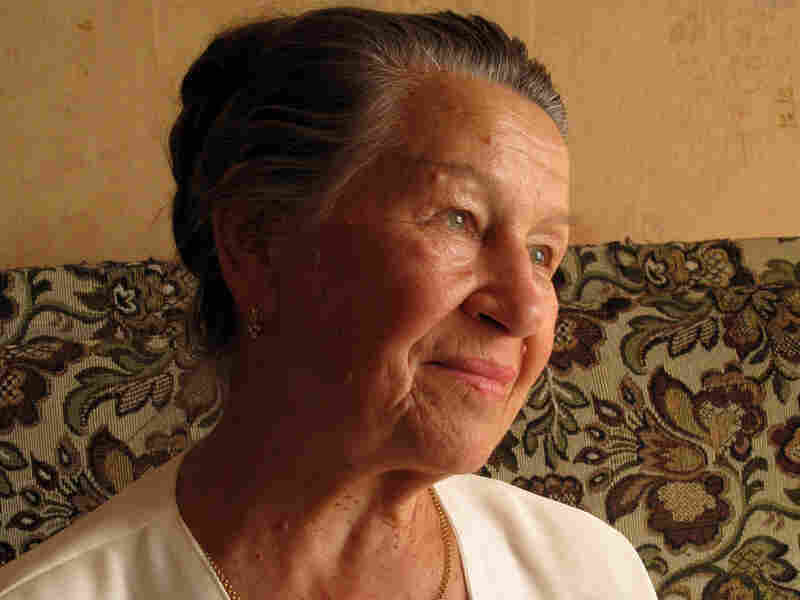 Tamara Kolbasina, now 79, was a 10-year-old living in Stalingrad when the Germans attacked. "There was a decision not to evacuate the city because it would sow panic. It would show the Germans we were afraid. We were told the Germans would never reach the city," Kolbasina says. But on Aug. 19, 1942, a beautiful summer's day, the Nazi bombing campaign began. Tamara Kolbasina, 79, was a 10-year-old when the Germans attacked Stalingrad. She spent the next 168 days living in open trenches, freezing, starving and terrified. She thought her father died during the fighting; four years ago, she discovered he was one of Stalin's victims. "I had gone for bread," Kolbasina recalls. "I thought the war was far from us. Suddenly, there were planes overheard, masses of them." The city exploded, and the Volga became a ribbon of fire. For the next 168 days, Kolbasina lived in open trenches, freezing, starving and terrified. Her best friend was killed next to her. Germans troops entered the city. The outnumbered Soviet forces were only able to hold a tiny sliver along the Volga River. Stalin issued an order that anyone thought to be retreating or deserting be immediately shot. As a young lieutenant, Gamlet Dallokian was among those sent to defend Stalingrad. "There was no food. We had no boots. We slept as we walked. The Germans attacked our rear and 42 of my 45 men were killed. They were much stronger, especially in aviation. How we managed to surround the city, I don't know. We were lucky," Dallokian says. Now 90 and one of the last living survivors of the battle, Dallokian recalls how close the opposing forces were. "We would smoke and they could see our smoke. That's how close they were. I looked into the eyes of death hundreds of times," he says. 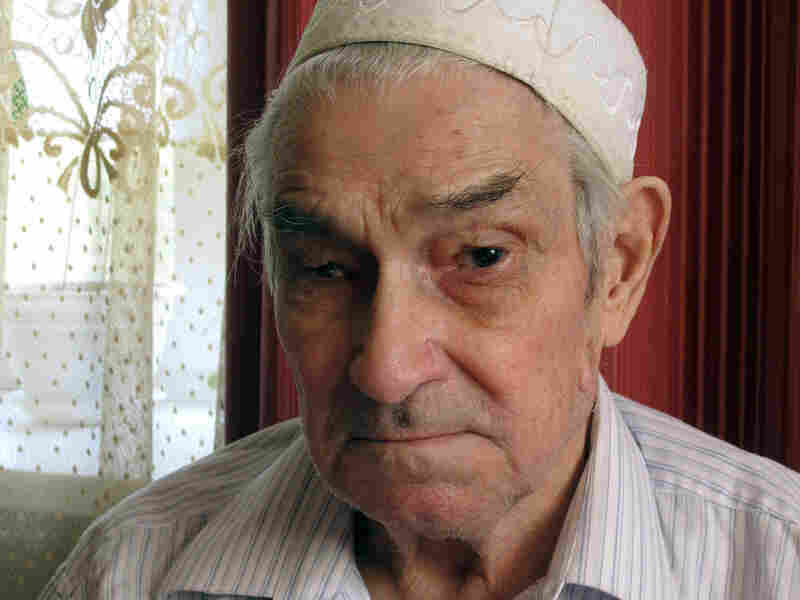 Konstantin Melikhov, also 90, remembers how ill-equipped his unit was. Somehow it held on until the Soviets managed -- miraculously -- to build up their air force. Melikhov was there when the German troops finally surrendered. His forces shattered, German commander Friedrich Paulus disobeyed Hitler's orders and agreed to give up. On Feb. 2, 1943, what was left of Germany's frozen and hungry troops at Stalingrad surrendered to the Soviets. "They threw their weapons on the ground. My job was to collect the best of them for the fighting still to come. Then we collected the dead bodies from both sides," Melikhov says. About 1 million Soviet soldiers and citizens were dead. Some 91,000 Germans were taken prisoner. Many were forced to help rebuild the leveled city. For these Russians, it was unquestionably a great victory; they still proudly wear their medals. But they are not proud of what came before -- Stalin's terror -- and what came after. Retired doctor Konstantin Melikhov fought in the battle of Stalingrad. "Terrible things are happening" in Russia, he says, "then and now." Tamara Kolbasina's father was declared missing in action. After the German defeat, her family lived in an earthen dugout reinforced with clay and straw. They stayed there for 14 years. Her sister survived typhus; her mother, weakened by malaria, died young. Nonetheless, Kolbasina received an education and became a loyal member of the Communist Party. But four years ago, Kolbasina got a call from Russia's security services, the heir to the KGB. Her father was not missing in action as she had thought, but was one of Stalin's victims. "As he watched the bombing, he was overheard complimenting German technology. For this he was sentenced to 10 years. But there are no prison records. We can only assume he was shot," she says. Kolbasina says she has lost faith in her country. "Why were so many innocent people like my father killed? And now, everything we built is in private hands, in the hands of millionaires and billionaires," she says. The family of Gamlet Dallokian, the soldier, became Stalin's victims, too. 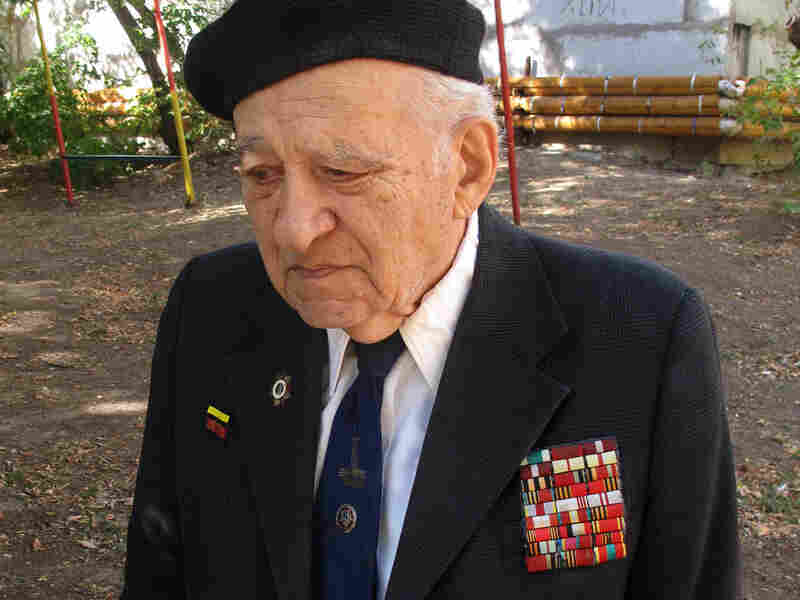 Gamlet Dallokian, 90, was a young lieutenant in the battle of Stalingrad. Of the 45 men in his unit, 42 were killed. Now, he is disillusioned with what Russia has become. Nonetheless, Dallokian still believes Stalin was a good wartime commander. "I cannot forgive Stalin's brutal repressions. But this city should still bear his name. It was the battle of Stalingrad, not Volgograd," he says. Originally called Tsaritsyn, the city was renamed Stalingrad in 1925 in honor of the Soviet leader. The name was changed to Volgograd in 1961 as part of Nikita Khrushchev's program to expunge the cult of personality and brutal policies of Stalin from the Soviet system. And now in a post-Soviet system of strong central control by the Kremlin with vast wealth among some Russians while others struggle, Dallokian wrestles with the current state of Russia. "Why can the Germans we defeated live 40 times better than us? When this is such a rich country, why do we live worse?" he asks. Konstantin Melikhov became a doctor. Now nearly blind from wounds he received, he, too, isn't happy with today's Russia. "Terrible things are happening," he says. "Then and now." Friday: Where the Volga meets the Caspian Sea, Russia's fortunes are reflected in its "black gold" -- highly prized, but increasingly rare, caviar.